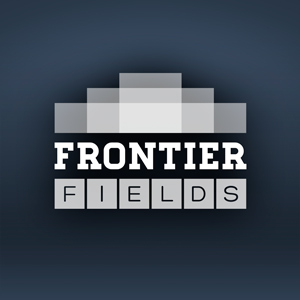 The Frontier Fields images, while beautiful, aren’t all that easy to comprehend to eyes outside the astronomy community. Look at them and you see streaks of light and blurry smudges mixed into a field of obvious galaxies. It can be difficult to interpret the distortions that occur as light from distant galaxies becomes magnified and bent by the vast mass of the Frontier Fields’ galactic clusters. So here’s an interesting thought experiment. What if we could take a well-known galaxy and put it behind one of our Frontier Fields galaxy clusters? What would that look like? Thanks to Dr. Rachael Livermore of the University of Texas at Austin and Dr. Frank Summers of the Space Telescope Science Institute, you can see for yourself. In this video simulation, the Whirlpool Galaxy, also known as M51, sweeps behind the Frontier Fields galaxy cluster Abell 2744. As it moves, the gravity of the galaxy cluster distorts the light of the Whirlpool, warping and magnifying and even multiplying its image. Obviously, this isn’t a realistic video — galaxies don’t just take jaunts through the cosmos. But it illustrates how our image of the Whirlpool would change depending on where it was placed behind the galaxy cluster. Livermore used the Whirlpool Galaxy for this video because it’s a well-known, popular Hubble image, easily recognizable through the distortions that happen at different locations in the lensing cluster. Take a look. After the intro, the image on the left of the dotted line shows the location of the Whirlpool behind the cluster, while the image on the right shows the lensing distortion underway. In this simulation, we’ve moved the Whirlpool to a distance astronomers refer to as redshift 2. That far back, it would be so distant that the light we’re seeing from it would have started traveling away from the galaxy when the universe was just a quarter of its current age. If the Whirlpool were that far away in real life, its light would take 10 billion years to reach Earth. Note that this isn’t how the Whirlpool would really appear at that distance. At such a distance, all we would be able to make out is the vivid central bulge of stars. But for the purpose of this illustration, the whole galaxy has been kept artificially bright. The most impressive distortions occur as the Whirlpool passes behind the center of the galaxy cluster, with multiple, stretched, distorted images of the galaxy appearing. At this point, the light of the Whirlpool beaming toward Earth bends to go around the cluster, but can go either left or right. There’s no preference, so some of it goes one way, and some goes another, and we get many images of the same galaxy. This location is ideal for astronomers, because as you can see in this illustration, the images become both stretched and magnified, allowing the galaxy structure to be seen in greater detail. Furthermore, because a gravitational lens acts much as a telescope lens, more light is focused our way, making the galaxies brighter. This, Livermore notes, is a primary reason why astronomers are interested in these galaxy clusters – the chance to see the distant background galaxies in so much greater detail than Hubble would be able to produce on its own. So how much of what Hubble sees are multiple, stretched or distorted images and are there known examples of these?